When it comes to essential accessories, a bottle cage is perhaps one of the most basic must-haves, since staying hydrated is of prime importance, and the bottle cage provides a hold for one’s water bottle. XMR is a brand known for value for money accessories with no compromise on their functionality and quality. We got the opportunity to review the Plastic Bottle Cage from this brand, and here are our thoughts. The XMR Bottle Cage Plastic, is made using plastic. This makes it lightweight and flexible, while being well priced. The bottle cage comes with two screws, which makes it easy to mount onto the frame of a bicycle in no time. This bottle cage is flexible and functional. 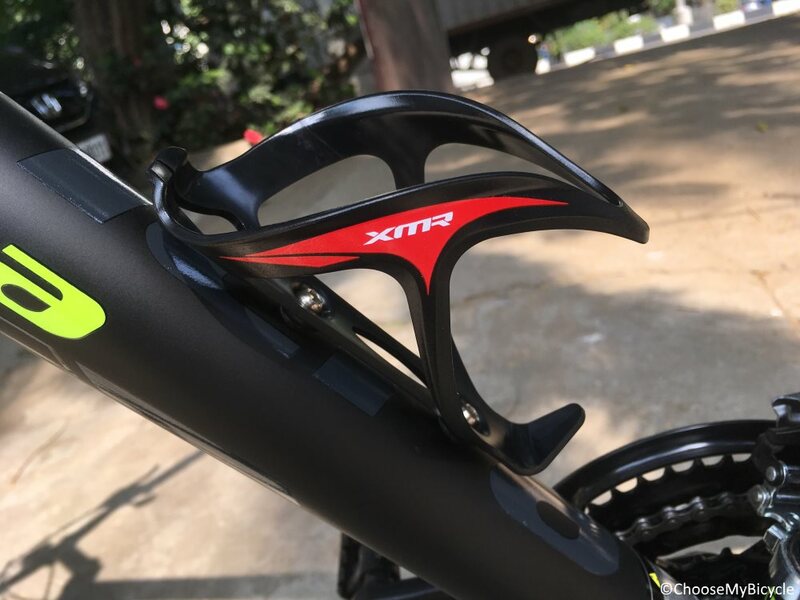 This Bottle Cage from XMR has been designed keeping simplicity in mind. The black main colour, with the red sticker decals, along with minimal branding adds to the overall aesthetic appeal of the bottle cage. Plastic makes this bottle cage lightweight, and its design makes it usable on a wide range of bicycles frames. The design of the cage requires that the bottle be inserted and removed from the top side of the cage. The XMR Plastic Water Bottle Cage is ideal for cyclists who use their bicycles for short distance rides. It is lightweight and durable, and allows for easy access to one’s water bottle while on the go. This is a good option for cyclists looking for a functional bottle holder at a lower price point.